How to make webform forget a selected event? Be very careful when sending people to a webform that has multiple events on them. If they return to that webform (or another webform that pulls in the same Events) at a later time and select another event -> what they are technically doing is canceling their participant registration for the event they un-select and registering themselves for the newly select event. 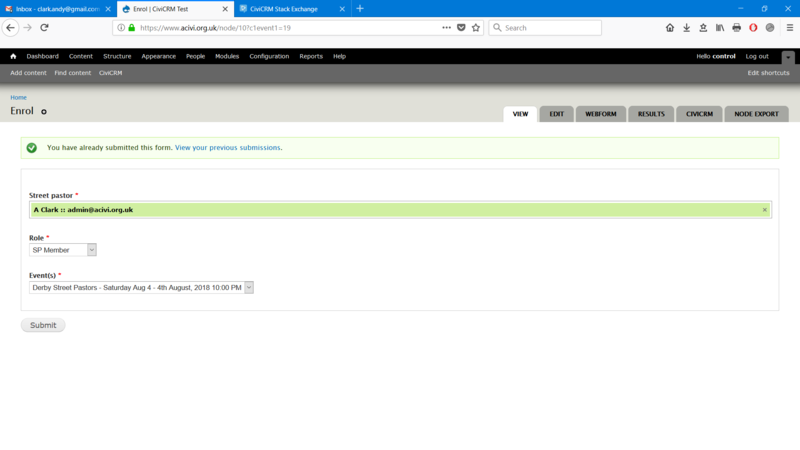 The setting to not unregister participants from Events will just affect the processing of the form; On load of the webform it does makes sense to me that it shows the Event one is current registered for. Not the answer you're looking for? Browse other questions tagged webform-civicrm drupal-views or ask your own question. 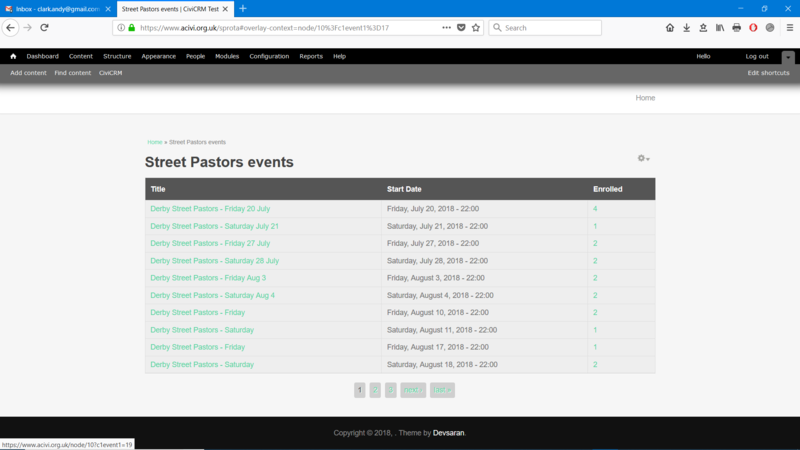 Can webform-civicrm pre-select an event using Drupal Views?